Get into climbing at Sport Martley! Children love to climb and we offer a variety of climbing classes aimed at providing a fun and structured way to improve their climbing, build confidence and make new friends. 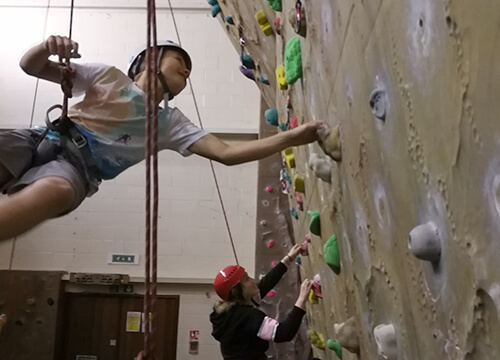 Our climbing classes are a brilliant way of developing fitness, flexibility, muscle strength and mental focus. We offer classes for all abilities from complete novices to experienced mountineers. 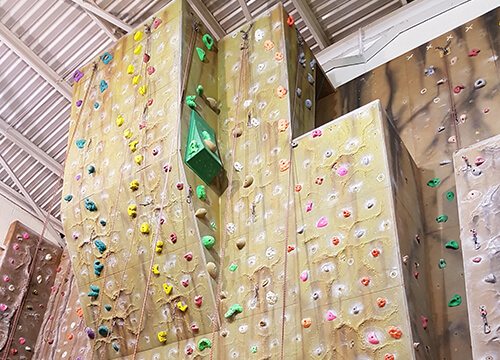 Climbing classes are available Monday to Saturday from level 1 (introductory climbers) to level 5 (Lead climbers) and are cheaper than you might think starting from just £6.60 per session! To find out more click the link below and a member of the team wil get in touch or call us now on 01886 888999 to start you on your climbing journey!